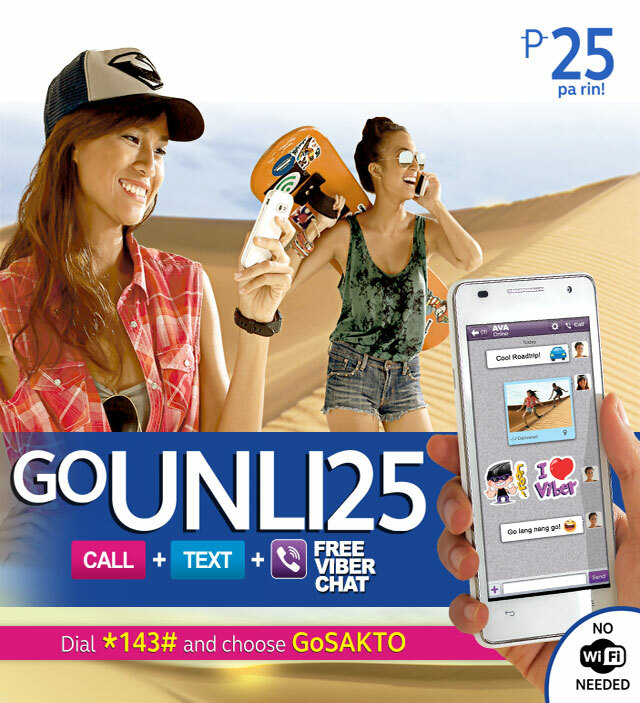 Globe Prepaid GoUNLI25 is a bundled prepaid offer with unlimited texts and unlimited calls to Globe/TM plus unlimited Viber Chat services without the need for Wi-Fi or additional data charges. Available to Globe Prepaid subscribers for only P25 valid for 1 day, GoUNLI25 allows subscribers to connect with contacts in any Globe network as well as with other users subscribed to other networks both in the Philippines and abroad, for as long as these contacts have Viber accounts. GoUNLI25 is also available in longer validity options such as the 3-day variant for P67, 7-day variant for P150, and 30-day variant for P600. Note : For the users to be able to make use of free call and text through viber, the contact (you will be calling or sending a message to) using viber should be connected to the internet.